Any true San Antonian knows about Southtown, and for you non-locals I’ll enlighten you! Southtown is the city’s historic art district that is your go-to spot on the weekends. It has everything: historic homes, art galleries, beer gardens, some of the best restaurants, and of course a few bars. But the coolest place in Southtown is an old warehouse complex on the banks of the river that contains almost everything in one convenient location. Blue Star Arts Complex opened in 1986 after being converted to show a contemporary art exhibit. It has since grown to house 12 art galleries, 2 bars, 6 places to grab a bite, and 7 shops. This includes a curated grocery store, event venue, underground bar, and a brewery! You never have to leave….which is exactly what I set out to prove! My day at Blue Star started with a stop at Halcyon, a coffee shop/bar that exudes “cool.” I was lucky enough to snag a couch, so I may or may not have fallen asleep there. They have anything and everything you could want - lattes, cocktails, and a food menu that can transition you from breakfast to late night snacks (plus $1 mimosas on weekends). 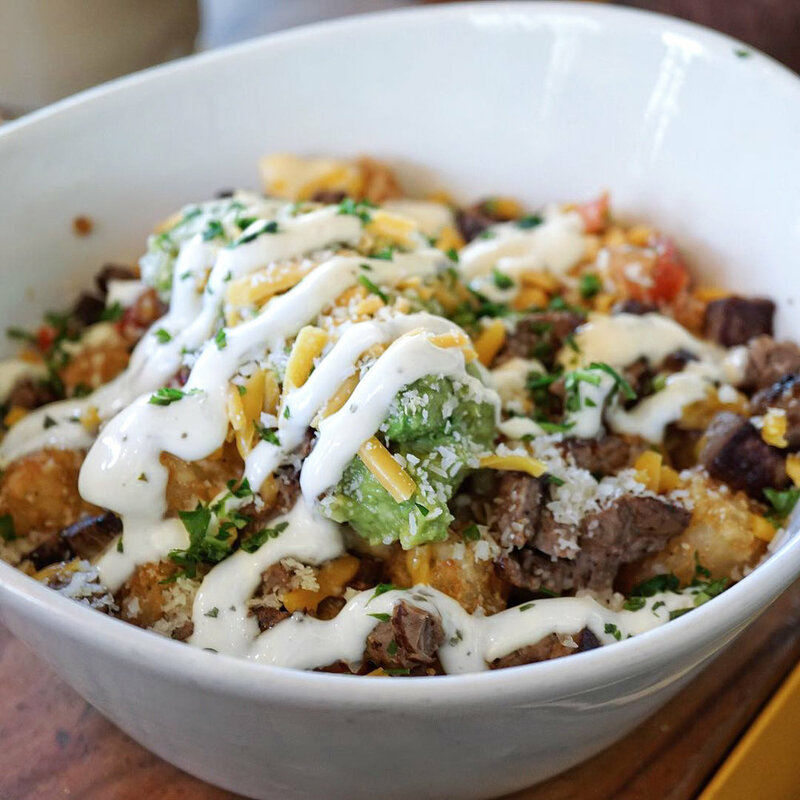 My guilty pleasure is the tater tot nachos. Don’t ask questions, just get them!!! After a quick stroll through Blue Star Provisions and shopping a little at one of the shops, I headed over to Stella Public House. Stella is known for their lamb meatballs and pizza! Of course, I got both and regretted nothing. 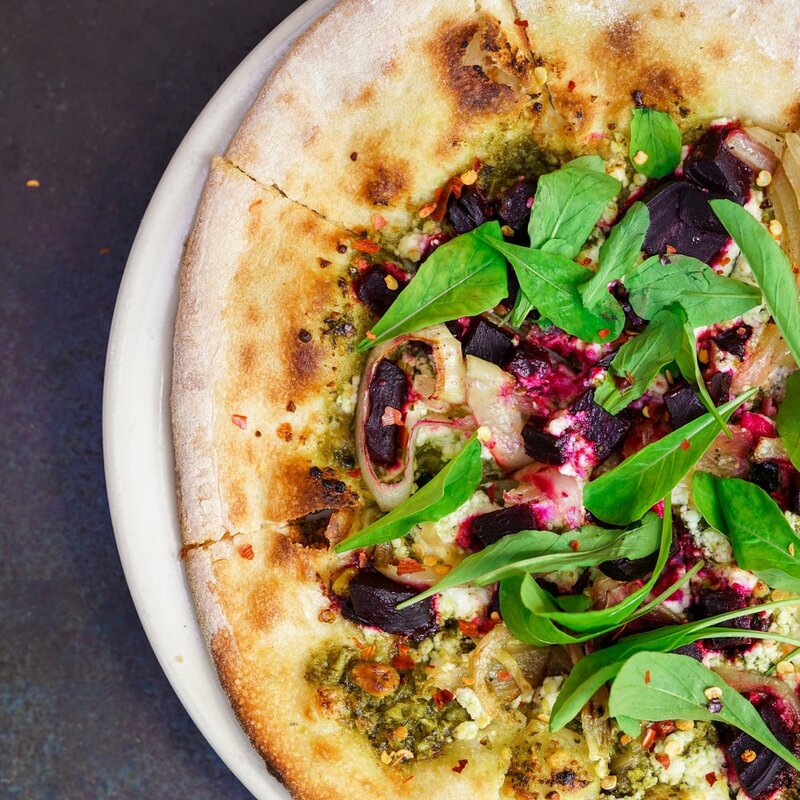 I did choose a different pizza this time though, the roasted beet with pistachio pesto. My new favorite! The next few hours consisted of me walking off my lunch and having a few beers at Blue Star Brewing Company before finally heading to dinner. Sushi? Yep! Blue Star has it. Sukeban is the local Champagne & Sushi spot and one of my favorite places to eat. This is because they have both classic rolls and some more adventurous/non-traditional ones (think strawberry & goat cheese). To end the night I grab gelato from my favorite place, South Alamode, and then went in an unmarked door to enter Bar 1919, a prohibition style bar that focuses on whiskey and exceptionally made cocktails. They currently have the largest selection of whiskeys in the city and made headlines back in 2013 when they got their hands on a bottle of Glenfiddich 50 (1 of 6 bottles), hosting a tasting where tickets ran for a cool $1,500 each. I stuck to a Pimm’s cup for much less than that, but it is one of the best Pimm’s cups I’ve ever had. I did it! I spent the whole day at Blue Star where I ate and drank way too much! But I have no regrets. Even if you don’t want to spend the entire day there, it is connected to all the best places in town via the Riverwalk. Walk north to hit downtown and eventually the Pearl, or walk south to visit all the San Antonio missions on the Mission Reach segment of the Riverwalk.